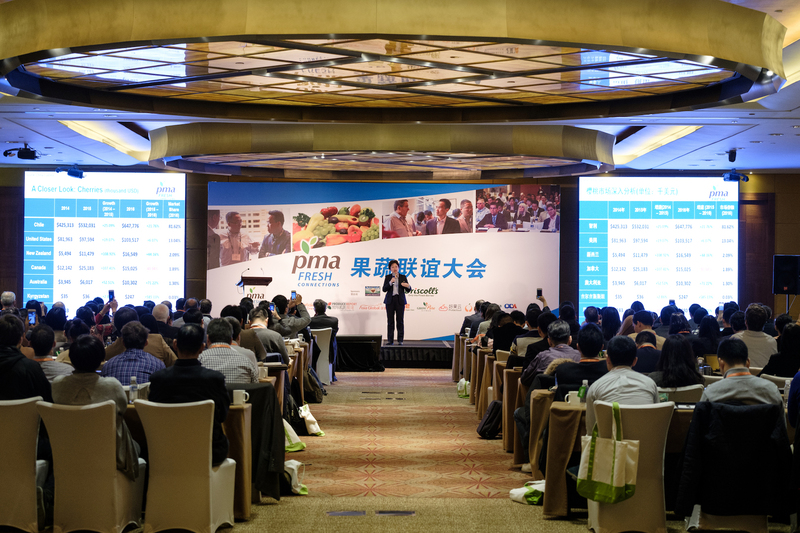 The annual business network conference, PMA Fresh Connections: China, opened on March 16 at the Westin Bund Hotel. 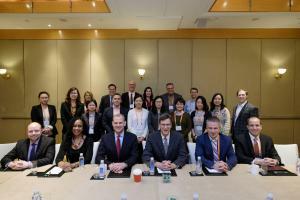 This was the fifth such conference to be held in Shanghai, following successful events over the past four years. Around 200 Chinese and overseas importers, exporters, growers, e-commerce owners, and business consulting firms have participated in the event. With the improvement of living standards over recent years, China has become a huge and lucrative consumer market and access to this dynamic global fresh produce marketplace symbolizes success. Apart from the US, representatives from Chile and Australia all expressed their ongoing interest in the Chinese market. As Cesar Suarez, Trade Commissioner at the Commercial Office of Chile in Shanghai, pointed out, Chile is a Southern Hemisphere country that is geographically opposite China and enjoys a natural environment that serves as a natural screen and provides protection against plant diseases and pests. Furthermore, many varieties of Chilean fruits have benefited from zero tariffs over the last 12 years under the free-trade agreement (FTA) with China. All of these factors helped Chile to become the #1 exporter of fruits to China in 2016. Mr. Suarez explained how Chile is carrying out more marketing activities in China, enhancing its e-commerce capacity, and enlarging its network by attending trade fairs, seminars, and conferences. Similar to the natural geographical advantages mentioned by Mr. Suarez, Brent Moore, Trade Commissioner and Commercial Consul at the Australian Consulate-General in Shanghai, described how Australia, another Southern Hemisphere country, also enjoys good climate and weather, a counter-seasonal advantage, and an FTA with China. He also told attendees how Australian fruit has been welcomed on the Chinese market as a result of its high quality, such as Tasmanian cherries, which were exported to China around the Chinese Lunar New Year period and achieved sales of 8,600 tons on Tmall alone. Finally, he shared his optimism for the Chinese market and explained how Australia intends to export more apricots, avocados, kiwifruits, and other produce to China and hopes that more fresh products will be consumed quicker in Chinese cities in the future. In 2016, China imported 3.6 million tons of fruit and fruit exports hit 3.92 million tons, with a combined value of over 10 billion USD, just under those of the grain & oil, meat sectors. With a huge market potential and preferential trade policies, the fruit trade will help to support the domestic supply to meet consumer demand, according to Chao Junwen, General Secretary, China Chamber of Commerce of Import&Export of Fruit-CFNA. PMA Chinese market development representative Mabel Zhuang was next to introduce the general situation of the Chinese market. She discussed the status quo of imports in the fresh produce market, the predicted future trends in the industry, and her insights into changes in China’s fresh food trade structure, considering a combination of domestic production, trade statistics, new marketing channels, and other data. During the day, speeches and panel discussions were categorized into six themed sessions to allow participants to enjoy opportunities such as learning about the most in-demand products and discovering new sources for those products, gaining strategic advice from industry leaders on growing their business, and exploring new technologies to improve product development and food safety initiatives.